Definitely agree, theguvofwythenshawe2 SL2 Remix is the one here. Tune! mine is the same colour as the pic, im assuming this is the rarer blue, or is this supposed to be green ? Has a nice fresh press of the original and Coombs isn't shabby at all. Total oldskool classic. One of my all-time favourite tracks, with its simplistic almost relaxed breakbeat intro followed by that bass-line so unmistakeable, simple and effective with its subtle changes that got everyone dancing as soon as they heard it, Hypnosis builds with further organ riffs that drop in out throughout the track layering on top of each other. A really great tune with a happy vibe that brings back lots of great memories ! One for those hot summer nights, a must have for anyone’s collection ! top of the pile...propper old skool roller. 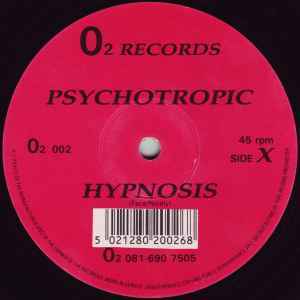 Hypnosis is such a simple track, with just a few key changes and only a few elements. However it is skillfully arranged and thats the key. Soothing at times, haunting at others. The perfect 4am track. Beautiful!